Whether you are looking to buy or sell a house, town home, condo, land, farm, or commercial property in or around Rutherford County, including the charming towns and communities of Rutherfordton, Spindale, Forest City, Ellenboro, Bostic, Mooresboro, Union Mills, Shelby, Tryon, Columbus, Marion and Lake Lure, then you have come to the right website. This comprehensive online tool offers direct access to the latest properties for sale in Rutherford County. You'll find everything about the foothills of western North Carolina real estate within one easy source. We invite you to Search the MLS (Multiple Listing Service) for all available properties in Rutherford County, North Carolina. Registered users can save searches and save properties. If you would like more detailed information on any property you find, simply call or email us. 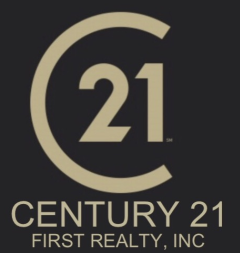 CENTURY 21 First Realty, Inc., a franchisee member of Century 21 Real Estate LLC with over 7,800 offices and 143,000 agents in 44 countries, has become successful in Rutherford County Real Estate by providing unsurpassed service to homebuyers and sellers. Because CENTURY 21 First Realty, Inc. has grown with the communities we service, our real estate professionals have intimate knowledge of each community's character, amenities, and growth potential. Due to the fact that our associates live in the communities we serve, they readily understand the unique challenges and problems families encounter in selecting their new home. Drawing on their extensive knowledge of recreational facilities, shopping locations, transportation, and schools, our associates are better able to satisfy your real estate goals. Use My Saved Listings to let us know what you are looking for and one of our sales associates will provide you with the real estate information you request. CENTURY 21 First Realty, Inc. Rutherford County Real Estate Agents for all your North Carolina Real Estate property needs with homes, land or homesites, log cabins, log homes, horse farms, condos, condominiums, lots, water front, lakefront in these Rutherford County locations: Rutherfordton, Forest City, Spindale, Ruth, Bostic, Ellenboro, Harris, Union Mills, Golden Valley, Sunshine, Lake Lure Golf and Beach Resort, Bald Mountain, Chimney Rock, Lake Lure, Bat Cave, Bill's Mountain, Pinnacle Mountain, Meadow Creek, get information about western NC MLS, WNCMLS, Rutherford County MLS, Grey Rock and HGTV Dream Home in Lake Lure, Bright's Creek, Queen's Gap, Cleghorn Plantation, Rumbling Bald Resort, Golden Valley Estates, Yellowtop Mountain Estates, The Summit, Riverbend, Pierpoint, White Oak Plantation, Brookside Forest, The Highlands, Fairfield Mountains Resort, Laurel Lakes and The Peaks. Over twelve acres of nicely wooded land. There was a mobile home on this property so there is a well and septic in place. Owners do not know the size of the septic and are trying to get records from the health department. Some mountain views from hill above the old house area but trees will need to be removed.